Question: ?? ?ay ap wen are you getting the maximo montana and the cigarette markers??? AP Reply: Dude why spam us with this question. 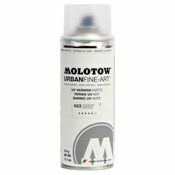 Why even buy a maximo when you can get this>>>http://artprimo.com/catalog/molotow-premium-plus-600ml-p-894.html Cheaper and better in every way.